The title of this post sounds counterintuitive. After all, we all strive for something completely different – a perfect score, all five stars marked in gold. Surprisingly, there are positive sides to negative reviews. The question we have to ask ourselves is: how to handle negative reviews? A negative review is not the end of the world. On the contrary, it can bolster your product or service by making it more authentic. In this blog post, I’ll tell you how to benefit from a negative review. 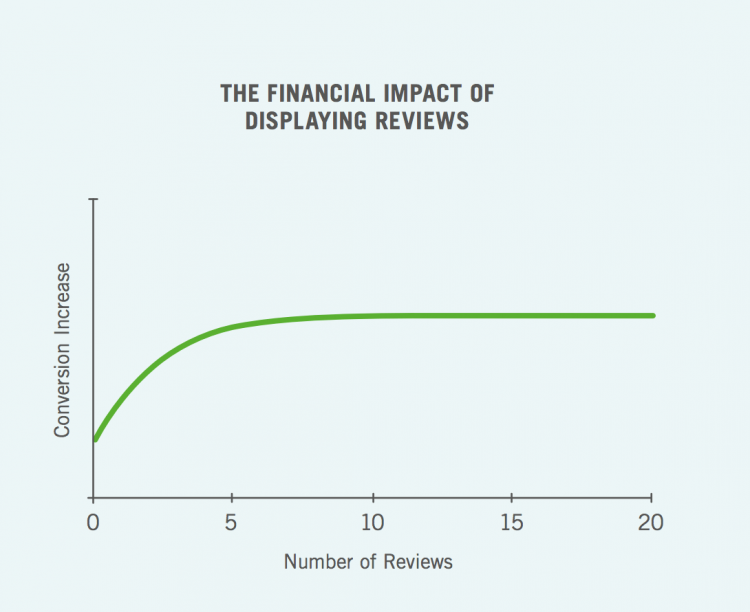 Can negative reviews increase sales? Why are negative reviews good? How to spot negative reviews? When to respond to negative reviews? Customers based their purchasing decisions on many factors, and reviews rank very high on the list. They are more important than brand reputation or friends and family recommendation. But is perfect opinion really so beneficial for your businesses? What if we turn the tables around and see negative reviews as a blessing in disguise? According to a study by Harvard Business Review, even terrible publicity can bolster the bottom line. It depends on whether the potential consumers are already aware of the product. HBR analysed sales patterns of over 250 book reviews published by the New York Times. Of course, good reviews increased sales from 32% to 52%. For books by established authors, negative reviews caused a drop of about 15%. But negative reviews of books by unknown authors actually caused a spike in sales, by an average of about 45%. The reviews make consumers aware of the product they would otherwise not know about. In this case, every review has a positive impact. The attention increased product recognition and boosted sales. So, what’s the real deal with negative reviews? Let’s find out. Let’s make things clear – having only negative results is not good for your company. You’ll probably rapidly end up out of business. However, there are good reviews that reduce sales. A review “Best camera!” reduces sales by 0.2% What the heck, you might ask? We all love to hear stories. And one sentence opinion doesn’t provide any context. Why is it the best camera? Is it small and doesn’t weight a ton, so you can take it everywhere? Or is it a professional device with excellent lenses? Maybe the price-quality ratio is superb? The review doesn’t really tell the potential customer anything. Why would it incentivize anyone to buy the product? Moreover, phrases like “good packaging” make it seem like there was nothing else positive about the transaction. One sentence reviews result in 0.56% drop in sales for regular sellers, and -2.93% for aaa+++ sellers. Yikes! On the other hand, a well-written, captivating negative review can increase sales. They provide a specific description of what’s wrong with the product. And if it’s not a key feature for the potential customer, they might end up buying it anyway. Need a real-life example? It’s high time to change my phone, as I’ve been using my current one for more than three years. The key features for me were a good quality camera and large display, as I frequently read and answer messages from my mobile device. I don’t care about wireless charging or headphones jack. If another user were giving a phone three stars because of the lack of these features, it wouldn’t affect my decision. If charging is the worst thing they can throw at me, then it can’t be that bad, can it? Spelling and grammar play a crucial role in deciding whether a review was helpful or not. I heard a rumour a few years ago that Zappos spent a lot of money to have all the reviews on the site checked. It cost $0.10 per review and resulted in an increase in sales. What is your first thought when you see a product with the highest score? I get suspicious as hell. And not only me. 95%of consumers suspect censorship or fake reviews when they see the perfect score. First of all, you can’t have it all. You can’t buy a car with a great engine and horsepower that doesn’t burn a lot of gas. Secondly, we’re all different. A perfect product for one person will be utter crap for other, and there’s nothing wrong with that. The point is, uniformly good reviews reduce trust. It’s common knowledge that no one is perfect. Receiving a bad review creates an impression of frankness and honesty. Most shoppers look for negative reviews to establish the credibility of a product or brand. All of that is scientifically proven. 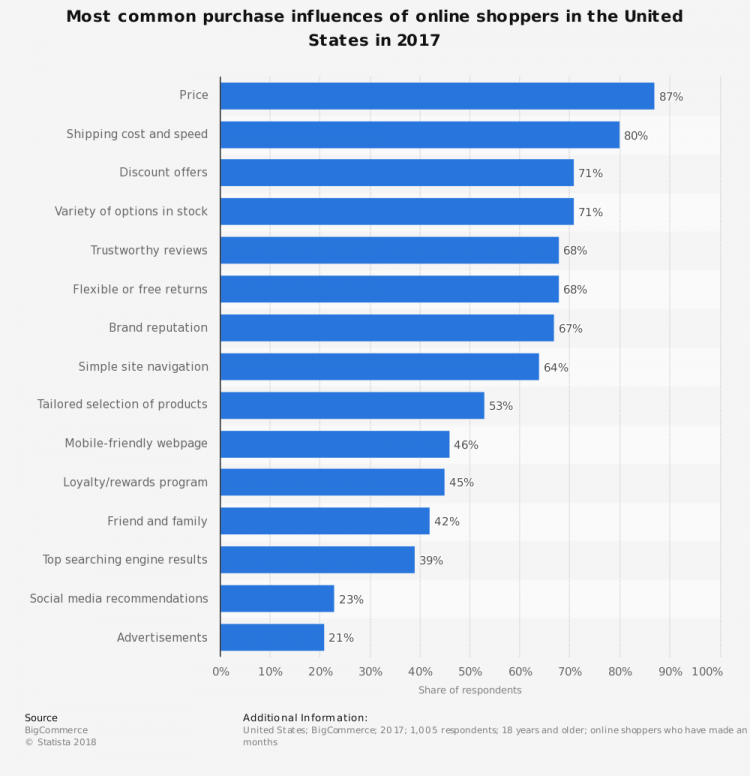 Northwestern University’s Spiegel Research Center proved that a likelihood of purchasing a product with 5 reviews is 270% greater than a product with no reviews. The nature of the reviews doesn’t matter. Both good and bad reviews will increase sales. If you’re wondering if there’s a Holy Grail, the perfect rating you should strive for, then the answer is: yes, there is. The possibility of purchase peaks at ratings between 4.0 and 4.7 and decreases in the 4.7 – 5.0 range. The shoppers consider the ratings at the far end of the spectrum as “too good to be true”. The 4.0 – 4.7 range provides a healthy balance. Of course, there’re some disadvantages, but nobody is perfect. What’s more, while consumers interact with bad reviews, they spend much more time on your website, or around your product. Which means they have more time to get to know your company. As a result, those customers are much more likely to convert. A lot more, the exact number is 85%. You can’t simply leave a negative review on the website and do nothing. If you want to benefit from it, you have to turn it around. Negative reviews will stay negative forever if you don’t respond, and as we all know, nothing goes missing on the Internet. First of all, you need to be aware of all the reviews. Sounds obvious, but there are so many social media platforms, it might be hard to keep track. 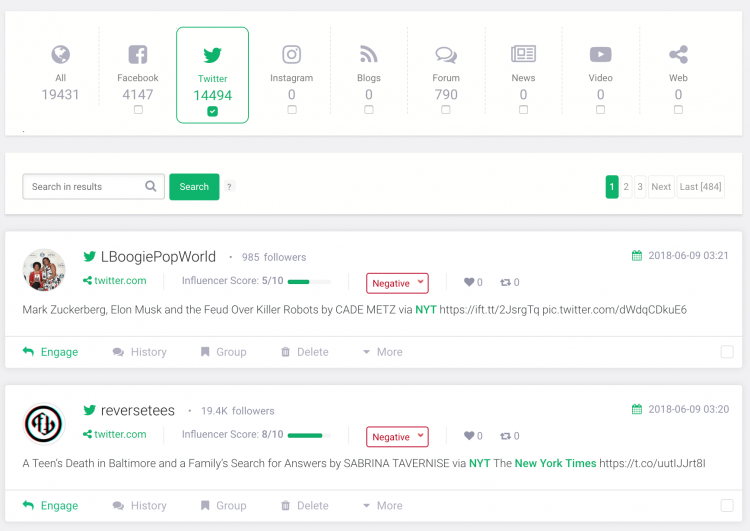 A social media monitoring tool, like Brand24, is the perfect solution. Start with setting up a project. You can monitor the name of your brand, specific hashtag or whatever you use to identify your product. Basically, the sky is the limit. 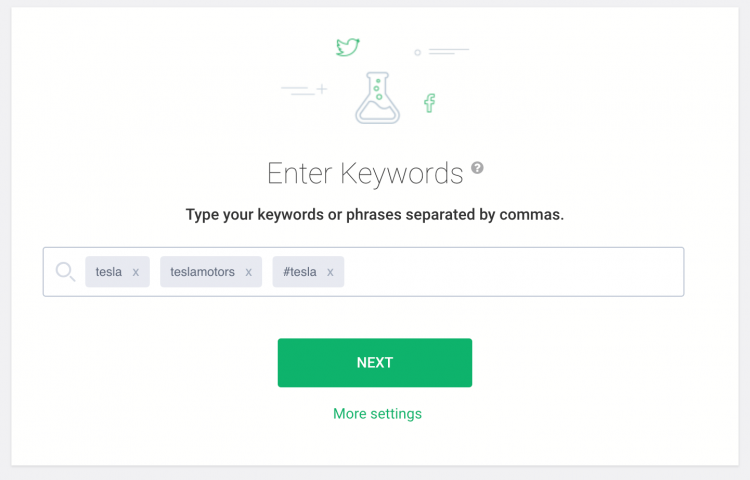 The tool with start gathering all the mentions containing your chosen keywords. You can filter the mentions according to your needs. The easiest way to see all the negative and positive reviews is to use the sentiment analysis filter. Just swipe the arrow in the right direction, and voila! All comments in one, neat dashboard. There’s one drawback of this feature. It doesn’t (at least yet) fully recognise sarcasm and irony. You can change the sentiment manually so it fits perfectly. I find it extremely helpful when I can combine sentiment analysis with specific channels. That way, I’m able to analyse the sentiment from a social medium I’m interested in, for example only negative comments from Twitter or positive from Facebook. If you’re getting most of your negative reviews from Twitter, then maybe the problem lies not with your product but your communication strategy? Oh, and BTW, do you know we collect mentions from Yelp and TripAdvisor? These are the two most powerful sites when it comes to customers’ review. And all that knowledge is at your fingertips. Brand24 will save you time and resources. You don’t have to manually look at all the platforms. Your employees can actually do something productive rather than spend hours manually browsing forums and social media. Check it out for yourself! We offer a 14-day free trial, no credit card required. So, it happened, you received a negative review. To make it the secret weapon you need to react. As Jay Baer and Edison Research found out, 53% of customers expect a reply on review sites. Time is of the essence, the faster you react, the greater the chance you contain the crisis. According to Yelp, responding to a review within 24 hours makes that reviewer 33% more likely to upgrade their review. If you respond with a personalized message you practically hit the customer service jackpot. Another Harvard Business Review’s study shows that responding quickly will help you retain your current customers. Customers of wireless carriers who were helped by customer service reps were willing to spend $8 on their wireless plans. 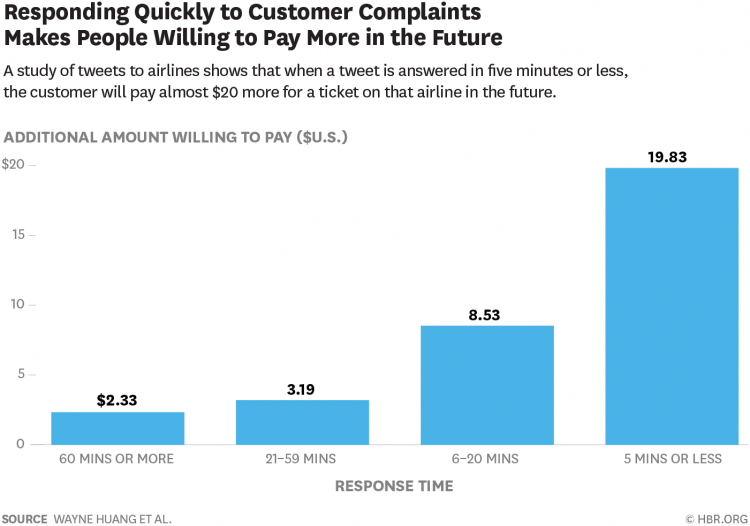 When it comes to airlines, customers were willing to spend $20 more per ticket if an airline responded to their complaint in under 5 minutes. These are quite impressive numbers, aren’t they? You now know that you have to act fast. That’s a start, but what exactly should you do next? Getting to the bottom of the issue. Understand what happened. There’s nothing more annoying than receiving some generic message from a bot. Trying to create a personal connection between you and person on the other side. The good idea is to add a name of employee answering a query to all the responses you publish on social media. That way your customer knows who is handling his case. Being empathetic. Answering reviews can result in a 16% boost in customer advocacy. Word-of-mouth is the most potent form of marketing there is. And that only for treating your customers kindly. Investigating the problem and if it’s the fault of the customer, be polite and don’t lose your nerve. Explain your point of view and try to find the middle ground. Unfortunately, there are two types of customers that will submit a complaint. Clients that had a real problem with your product or service, people whose problems you can resolve and turn into loyal clients. And Internet trolls seeking attention and monetary gain. Try to fight Internet trolls by taking the dispute to private channels or completely offline. If they really would like to work on a solution, they’ll be happy to talk in private messages. 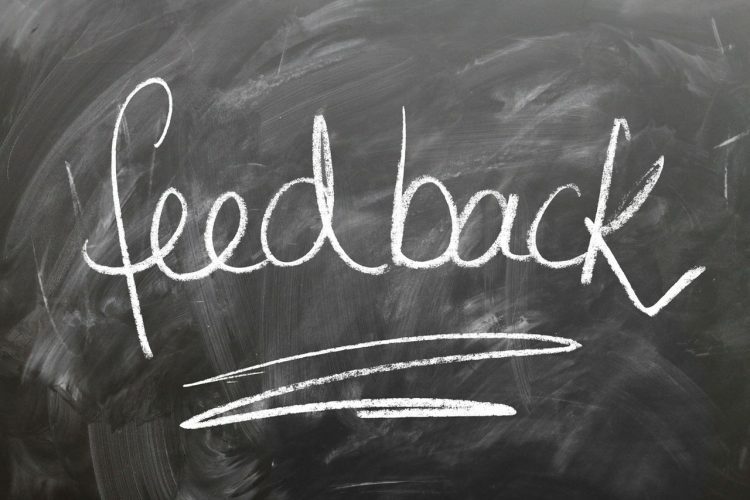 Negative reviews also have a positive impact on your product development. Have you ever tried to collect surveys from your customers? It’s an impossible task. You can’t blame them – the surveys are time-consuming, and even if someone genuinely would like to answer all the questions, sometimes they just forget about it in the everyday rush. Negative feedback, on the other hand, is a goldmine of knowledge. And you don’t even have to ask for it. Customers know better than anyone what features are missing from your product. We got the idea of “Locations” from our clients. We didn’t blindly develop a feature nobody was interested in. Instead, we listened to what our clients really need. That also gives you time to fix all the problems in time, before the problem escalates. After all, prevention is better than cure. No one knows better what your product is missing than your customers, so listen to what they have to say carefully. And while we’re at responding to reviews – try to post a short, personalised comment to good opinions as well. You’ll show your customers that you care about them, not only when you have to put out the fire. A quick recap: negative reviews help you build trust and let shoppers see that your public reviews are trustworthy. They are also a goldmine when it comes to finding great ideas on how to improve your product. Time is of the essence, so react swiftly, and empathize with your clients. Most likely you’ll get a second chance if you ask for it. Besides, maybe your exquisite customer service will go viral on social media and you’ll get a free advertisement? Bad reviews have the power to improve conversion rates. It would be a shame not to take this opportunity.